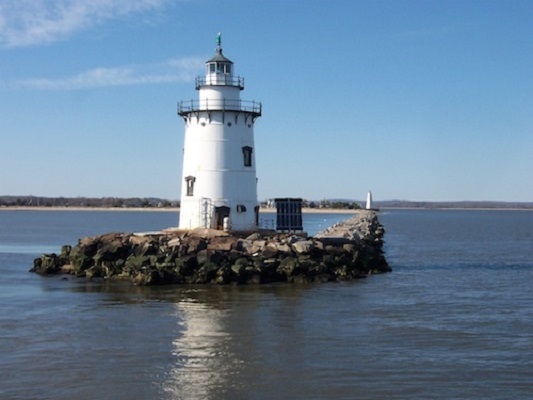 River Cruise to the Lighthouses in Old Saybrook, 9:00am to 1:00pm-ish. 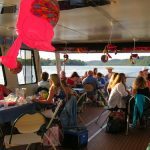 Join us aboard RiverQuest departing from Eagle Landing State Park in Haddam for a relaxing cruise south down the Connecticut River to view the Inner and Outer Lighthouses by water. 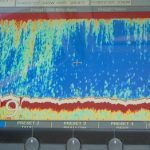 Observe the beautiful, pristine river “One of the Last Great Places”, as we cruise by the towns of Haddam, East Haddam, Hadlyme, Lyme, Chester, Deep River and Essex, ultimately reaching Old Saybrook and Old Lyme at the river mouth on Long Island Sound. We will tell you about the history, ecology of the river and point out areas of interest and wildlife we may see. Bring your picnic basket if you’d like. It is best to book online to secure your spot. Reservations are strongly suggested. The Captain reserves the right to change the cruise itinerary or cancel a cruise anytime he feels that there may be a weather, viewing or safety issue. We want to remind everyone that this is a nature cruise and the weather can change drastically in minutes; rain, wind, fog, ice and heavy snow may develop quickly. There are times when a cruise may need to be canceled very last minute. We will of course try to give as much notice as possible. Thank you for your understanding.